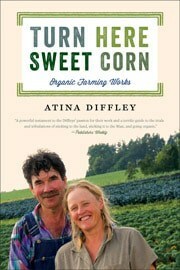 During a recent interview, I was asked why I choose to write Turn Here Sweet Corn as a personal story. I explained that I wanted the reader to feel the characters’ experience. The intellect is involved with understanding the issues, but the heart needs to be engaged for behavior to change. The interviewer then commented on my referral to myself as “the character.” I told her that during the writing process I would objectively separate myself from the character “Atina.” I would collect information about her and all the major characters in the book, what they cared about, what their favorite color was, what made them happy, and much more. I grew to know them intimately. Most importantly I would ask what each of the characters wanted and needed.